We’re Shay & Steph… two south florida based food influencers, and social media marketers who have a passion for sharing their love for food through pictures. We started SoFloFooodie by sharing our homemade creations. Shortly after, we started venturing off to additionally share the foods South Florida and our frequent travels had to offer. Although food is a passion of ours, we are more than just girls behind the camera. When we are not out exploring the food world, you can find us working to serve children with autism and their families, being moms, and graduate students. 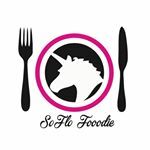 Follow along our journey….make sure to check our recipes page for all things homemade, our blog posts for features/reviews, and our most active social media INSTAGRAM, @soflofooodie. Thanks for stopping by!